A friend pulled these out of an old violin, and knowing I was interested in this kind of stuff, sent them to me. 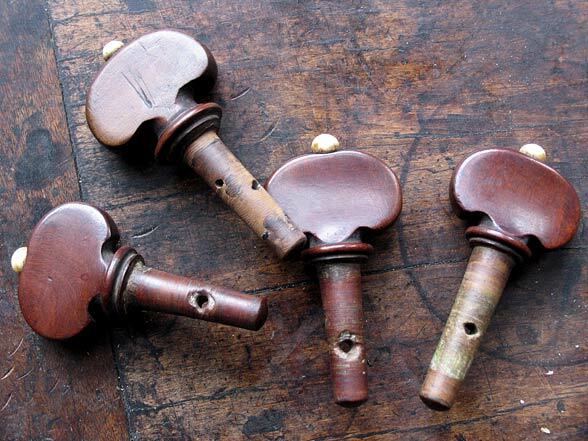 They’re violin pegs that probably predate 1800, and are maybe as old as 1750. (Notice that one peg doesn’t match–a later replacement, probably.) Eric Meyer, a great fittings maker on the west coast, tells me that they’re probably French, and, based on the number of them that he’s seen (that is: many), they were probably being commercially produced and distributed.